One Business, Two Brands’ is Abellio’s tagline for its new West Midlands Trains operation, which took over Govia’s London Midland franchise on December 10. Outer-suburban, long-distance and semi-fast services between London Euston and the West Midlands via Northampton and between Birmingham, Crewe and Liverpool will be operated under the London Northwestern Railway (LNR) brand, reviving memories of the pre-1923 LNWR. Local authority regulated routes around Birmingham will fall under the new West Midlands Railways operation. December 11 saw LNR’s new corporate image launched at Siemens’ King’s Heath EMU depot in Northampton. ‘Desiro’ EMU No. 350373 was the first train to be rolled out in LNR dark green and silver-grey, complete with green cab ends. Interestingly, the main silver-grey of the vinyl decoration has a reflective, pearlescent finish. All LNR Class 350s will carry the new colours by May 2019. A simultaneous launch was held at Birmingham Snow Hill for the West Midlands operation, Class 172 No. 172339 having been vinyled in the purple and silver livery. The set also has promotional vinyls on the centre car for local tourist attractions. 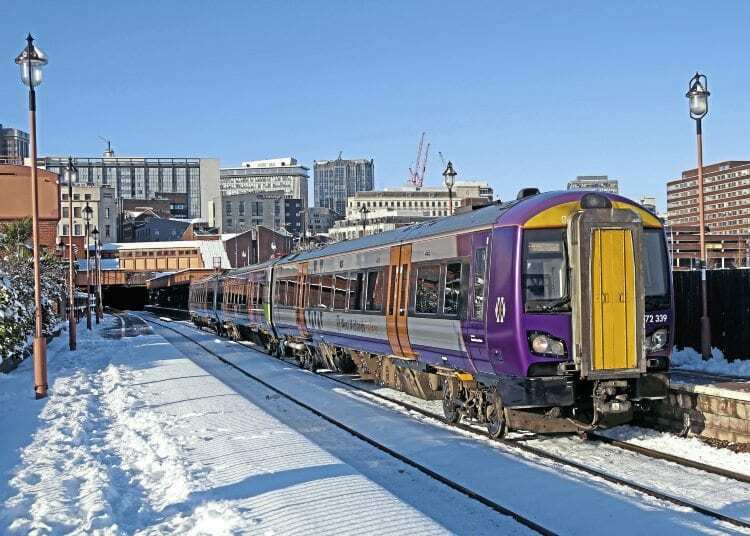 The Abellio franchise is being headed by former Merseyrail managing director Jan Chaudhry-Van der Velde, and will be investing more than £1billion over the next seven years, with around £700million being spent on more than 400 new EMU and DMU vehicles. The fleet will increase by around 25% by mid-2021, rising from the current 550 vehicles to 710. This will be made possible by the delivery of 333 Bombardier ‘Aventra’ EMU cars, formed into five-car outer-suburban sets for LNR (225 cars) and 36 three-car ‘Metro’ units to replace 26 ex-BR Class 323s on Birmingham’s Cross-City Line.